In The CapMouse project the essential Research & Development focus on the capacitive sensors and the interface for PC/Mac and Android, i.e. a mobile, smart device. The Cap Mouse will connect with a cable and USB. A Headset is prepared, by Lots Design, for only one sensor arm with 5 sensors and the sensors connect via PC to UART to I2C to a sensor plate – a series of highly innovative technical development steps that is executed by Brusell Dental, HMC International in cooperation. The end users have been involved from the beginning of the Cap Mouse project. The iterative testing was finished in 2012, conducted by Lots Design and PRO. At the mid-term review, in December 2010, a 6 Months extension of the project was granted. Identifying the end user and to find out which requirements it has on our CapMouse human interface technology of Brusell Dental connecting to PC/Mac and Android mobile devices. The most demanding group of end users is probably persons suffering from high spinal injuries whit this group setting the demands for the development work of the carrier. The product will be modular in the sense that the sensor arm and head will be adapted to fit different kinds of carriers, for example headset, ear cap (like a hearing aid) or to glasses. The primary use of the Cap Mouse will be to control PC/Mac/Android devices as an alternative to eye tracking and similar where time scanning today is used to confirm a choice. 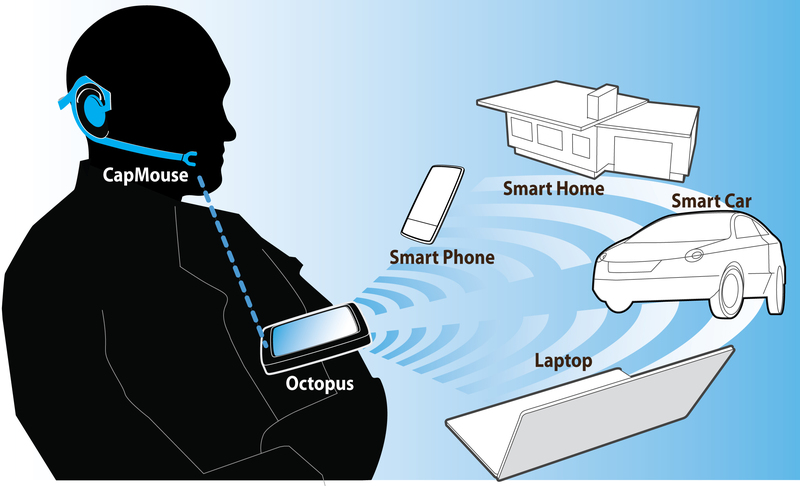 The Capmouse project will result in a CapMouse (product) interface (headset) for elderly/elderly disabled to offer tongue controlled keyboard/mouse functionality via standard USB connection, over Windows OS applications and Android applications. The project delivers a proof of concept on how a head mounted capacitive sensor controlled by the tongue can be used as an input for a human machine interface. The main target group is elderly/elderly disabled. The concept will include a prototype with a multi sensor headset and a hardwired hardware interface based on HID/USB.